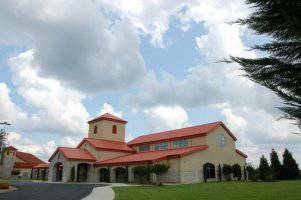 Welcome to St. Thomas the Apostle Church! To register, you may fill out the below online form or click Printable Parish Registration form, or stop in the parish office if you are more comfortable. If you fill in the online form, your information will be given directly to our parish secretary and you will soon hear from our Welcoming Committee. At the end of this form, you must fill in the "I am not a robot" section before submitting.